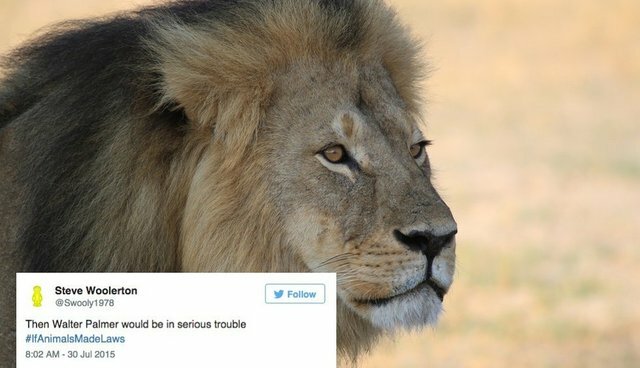 Early Thursday morning, perhaps as a collective response to the tragic killing of Cecil the lion, Twitter users across the country began tweeting out the laws that would exist if animals were in charge. The hashtag #IfAnimalsMadeLaws was soon trending nationally. Some of the suggestions are serious. And some of the tweets are totally touching. But animal lovers all agree on one thing - the world would be a lot better #IfAnimalsMadeLaws.